During the recent years the world of business has changed vastly. We the people of different walks of life cannot be able to imagine that what is going to be the future picture if this change continues rapidly like this speed. For this term paper instead of surveying all the sources where we can get our resources which are a time consuming and critical process I have chosen secondary data to find out what are the real business prospects for scientific development of indigenous natural resources in Bangladesh. Now what I have done to formed the whole term paper according to what we are thought including some relevant matters for example, the indigenous resources of Bangladesh, their uses, their role in Bangladesh economy and their business prospects such in the main part of the term paper. I hope that I am successful in bringing out what I intend to. I tried my best to fetch all the possible information and include them in a relevant manner. Bangladesh is bounded by India on the west the northeast, Myanmar on the southeast and the Bay of Bengal on the south. It forms the largest delta in the world. The land of Bangladesh is flat, with some up-lands in the northeast and the southeast. The great plain lies almost at sea level along the southern part of the country and raises gradually towards the north. Land elevation in the plain varies from 1 to 90 meters above the mean sea level. The maximum elevation is 1230 m at Keocradang Hill district. The population of Bangladesh is 130 million having an area of 147570 sq km. and thus making a population density of 880 per square kilometer. Bangladesh is the lowest riparian of three major river system of South Asia namely the Ganges –Padma, the Brahmaputra, Jamuna and the Meghna-Barak. Land water and gases are the most important natural resources in Bangladesh. ü Produced resources or capital. The process of economic development of any country involves the growth of national output which in turn leads to a rice of per capita output. To achieve an expansion of national output, it is essential to combine these three types of resources. There no doubt that the process of economic development depends on sustainable management of favorable natural resources. Some natural resources are renewable as land, water, fisheries and forest and there are others like minerals and mineral oil, gas which are exhaustible and can be used any once. Consequently, sustainable development and management of the exhaustible resources and the quality of renewable resources like land water are a since quadroon in the process of development. Land water and gas are the most important natural resources of Bangladesh. Land is scarce resource in the country. The total land area is 14.4 M ha of which 9.56 M ha (66%) are cultivable six M ha (63% of cultivable land) are subject to annual inundation ranging from 30cm to over 2 meters. Continues resources include solar energy, wind, gravity, tidal energy, geothermal energy. These continue to be available and, with the possible exception of solar energy, the receipt of which could be affected by atmospheric pollution, cannot be degraded even with gross mismanagement. It includes clean water, flora, fauna, soil, clean air. Resources (1985) defined renewable resources as, “this capital of natural regeneration into useful” products within a time span relevant to man”. Nonrenewable resources include mineral, oil and gas and some ground waters. These are available only in finite quantities, or else the rate of renewal is so slow that they must be regarded as available only in fixed quantities. It include human a skills, institution, management abilities etc adversely effecting various they can be fickle and prone to breakdown or degradation, jet can continuous resources if well managed. Land must be described as a nonrenewable (fixed stock) resource although it has a renewable capacity to support most form of biological life. Land is the part of the world not covered by the oceans. Soil is a thin covering aver the land consisting of a mixture of minerals, organic materials, living organism, an air and water that together support the growth of plant life. Bangladesh is a low lying flat land which is greatly influenced by annual inundation and land types are categorized by flood levels. Normal inundation area of the country is about 18% which may rise up to 36% during the severe floods. Most of the hilly and terraced lands (15% of total area) are generally well above the inundation level. In Bangladesh five basic land types are recognized each of which is related to a definite range of inundation depths. Agro-ecosystems which man sets up have to provided fresh, water, nutrients of fertilizers chemicals to suppress and suitable Hybrid varieties. The heavy reliance of modern agriculture on meter rivaled energy makes it under sustainable. Promote optimum use of water resources in domestic, optimum use of water resources in domestic, agricultural, fishery, transportation and industrial sector. Meet the need for irrigation for achieving food self-sufficiency. Control floods in order to protect crops diversity, the cropping pattern and secure life and properly of people. All the three components are however, interrelated and interdependent. Water abundant during the monsoon but scarce during the dry season (December-April). Bangladesh is a lower riparian country. Most of it is located within the flood plains of three great rivers-the Ganges, the Brahmaputra, and the Meghna –and their tributaries and distributaries. It is necessary to strengthen and promote the involvement of public and private research organizations and universities to develop and disseminate technologies for conjunctive use of rain water, ground water and surface water. To resolve conflict on the international rivers like the Ganges-Brahmaputra, all the countries that share the water shades should make integrated plan for the best possible utilization of water resources. The annual minimum flow of ricers near the Bay of Bangle is only five percent of the rivers, peak monsoon discharge. Pates of Bangladesh suffer from drought during the year adversely affect after agriculture and other economic sectors. ü To meet domestic and industrial water on priority basis. ü To maintain water quality in critical areas. ü To maintain effective water transportation. ü To expand and maintain inland and coastal fisheries. ü To develop water resources to increase agriculture contributing to food grain self-sufficiency. ü To control flooding and improve drainage facilities for major potion of the county. ü To meet salinity management and sediment control. Planning and management of water resources. Water and fisheries and wildlife. Water for hydropower and recreation. Water for preservation of Haors and Beels. Water assumes a unique dimension as a resources in the river line delta of Bangladesh. The three mighty rivers the Ganges, the Brahmaputra and the Meghna with their numerous branches and tributaries have played a key roll in shaping its destiny from time immemorial. The civilization, cultural patterns, agro-ecological system and production structure have been shaped through the millennium by the water of these rivers. They provide water for agriculture, domestic and municipal use, fisheries, industries, forestry, navigation and maintenance of the delicate ecological balance. The entered ecosystem of the country is tuned to this river systems and any upset in the supply of this life giving flows would invariable bring about changes in the coexistence of its populations, flora and fauna with nature and environment. The balance between man and nature in the river basins of Bangladesh rests essentially on water. The forest contributes to economic well being and ecological stability. In addition providing commercial timber and fuel wood, the forest supports biological diversity by providing habitat for plants and wildlife, conserve and protect social and water provide raw materials for different industries offer areas of recreation and tourism and help maintain and project the national and global environment. Forestry is established to account for about 3% of GPD in Bangladesh. Generally speaking fishery resources of Bangladesh are either inland or marine. The principles rivers and their tributaries, canal, pond, lakes, reservoirs comprise the inland fisheries. The marine resources comprise the bay of Bengal under the districts of Coxesbazar, Chittagong, Khulna, Patuakhali, Bhola etc. about 1.2 million fisherman draw their livelihood from fisheries. ü The pre-monsoon season from end of March to mid-June and has moderate humanity but high temperatures and evaporation rates. ü The monsoon season extend from June through mid-October. It is characterized by high humidity, low solar radiation and frequent but intermittent rainy periods. ü A cool dry winter season extends from about mid-October to early March in which there is negligible rainfall, low humidity and high solar radiation. Mineral resources are very valuable from all the natural resources. It is very important for any country’s economic development. The entire factor, which are important for a country’s economic development and human welfare definitely mineral resources are in that list. Bangladesh is not rich in mineral resources. We have a very few type of mineral resources and some of them is not in sufficient amount. In past all the survey happened in our sub-continent Bangladesh was not in that list. In that all scientist thought that Bangladesh is not good enough for this type of survey. Actually in that time scientist have found huge amount of mineral resources on Choto Nagpur so it did not give time to be concern with the other portion of this sub continent after the division of the sub continent at 1947 scientist can give time to concern with the other portion of this sub continent. After the division of the sub continent at 1947 the hunts of mineral resources start with step by step. Mineral resources are important for every country. All the country, which are economically developed those, are rich in mineral resources. Coal, iron, mineral oil is the main resource for the development of a country. Those countries are developed which are utilizing their mineral resources properly. As example we can tell about United States of America, United Arab Emirates, Saudi Arabia, Russian Federation, Kuwait etc. Bangladesh is a developing country. Nowadays we are looking that it is going for become industrialized. So, mineral resources are not only important for our country but also too much essential. For the developing of this country’s economy mineral recourses has unlimited importance but unfortunately Bangladesh is not rich in mineral resources. Only natural gas can be considered as the main mineral resources of our country. On the other hand petroleum is also another main mineral resource of us. Though Silica Sand, White clay, Hard rock are not actually mineral resources if we consider it as international level. But now these resources are heavily used in our industrial sector as raw material. Though these types of resources are not found in our country but many scientist thinks that we might have these resources under the surface and we may discovered its future period and consume it. Natural Gas is the most important resources for our country. By using these resources properly we can bring out our economy in a very higher position. From the very past time our scientist gases that our country have a huge amount of natural gas, but we can start to discover these gas field just after 1950. Though Bangladesh have different places where coal are founded but all of them are not profitable. Some of them are totally untouched; some of them have poor quality coal. Only few of them have good quality coal and economically profitable. Scientist were trying to find mineral oil from very past period but it is easily be told that they are not so much successful. In 1987 our scientists have found an oil field in Sylhet’s Horipur and another one in Bormihal of Moulovibazar. In Haripur we have four core barrel oil reserve. If we will find widely than we have very possibility that we will find more oil reserve. Limestone is popular for the raw materials of cement. Limestones have been discovered in Nineteen Century at Sylhet’s Jaflong and Joyontika. Silica sand is the main raw material of glass industry. For these reason it is also called as glass sand. Silica sand is available in many place of Bangladesh. In our country white clay are familiar to us as China clay. Mainly it used to produce Ceramic product and sanitary product. China clay is important for our ceramic and sanitary industry. Nowadays it is also used as row material of electric extensors produce industry and some chemical industry. Hard rock is founded in the north part of the country. It can be founded different places of there but all of them have not sufficient productivity. Some are totally useless. Hard rock can be used for making our infra structure developed. Though salt is one kind of mineral resource but for our country it could not be called mineral resource. Main source of salt in our country is sea water. For this reason it could not be called mineral resource in our country. Now we found little quantity of sulfur in our country. In Bangladesh we found it in Kutubdia which is in Cox’es Bazar District. It is one kind of power resource in our country. Still today many people of our country use wood fuel for their daily purpose like cooking. Using wood fuel as the source energy is little bit harmful for our nature. It has negative effect in our ecology. Using wood fuel as the source energy is one of the important case which are destroying our forest resources. Electric power is very important for our country. Most of out industries are operated by electricity. Electricity is not only important for country like Bangladesh but also it has great importance in the all countries economy all over the world. Bangladesh has total ten centers where electricity has been produce. Though tidal power has a great opportunity in Bangladesh but we can see that we are not using these resources properly we have one and only electricity production center where tidal power are use as main source. which is situated in Kaptai in Rangamati district. Our government should have to take proper care and give proper attention in this sector by using tidal power we can produce more electricity. Hydro power is a renewable energy source. Energy is produced by hydraulic turbines that rotate with the force of rushing water 9 higher to lower elevation). It is one of the most clean and cheapest ways of producing energy, but it cans also investment for developing countries. Solar power uses photovoltaic cells (PV’s) to gather thermal energy directly from the sun and use it to produce electricity. One community could be supplied by one field of PV’s. Passive solar cells could also be used to heat water, replacing the need for today’s hot water heaters. PV’s do not emit any greenhouse gases, but they are very expensive and more development is needed in order for this to be realistic energy source for the future. We are using Natural Gas, Silica Sand, white clay as raw material. For these reason Fertilizer, Cement industry are developing in our country. So we can tell mineral resources helping us to make our country industrialized. Maximum small and large industries are using heat Electricity and natural gas is main element or key element to produced heat electricity. Natural gas founded in Bangladesh used as fuel for cooking. For this reason most Bangladeshi people gets most economic facilities. On other hand gas also used for produce heat in most fertilized factory. Futures of natural resources of Bangladesh are looking bright. We have opportunity to research and we also have bright prospect. Proper uses of natural resources can bring our economy in a very higher position. Our natural gas and other resources helping us, it makes our import cost of gas and other energy very low. All the mineral resources that we have we need not to import those. By this way they saved a huge amount of foreign currency. Hard Rock and small rock that can be found in our country we use them to make our road highway and Dam. Our mineral resources especially natural gases help us to produce more agricultural product indirectly. Natural gas helps to produce fertilizer and fertilizer helps us to produce more crops. A mineral resource of this country helps to make the nation income of this country. a.Many people all over the country works in different places. People work in gas field Oil field and other places when we find our mineral resource. It creates opportunity for our people to get works and get new job. b. For mineral resources many industry are building our country, it also creating many peoples employment opportunity. c. A huge number of people involved in working to distribute and transport the raw material of industry and industrialized product. d. Mineral resources help to make the agriculture sector more productive. For that reason our agricultural sector are being able to create more opportunity for those people who are still unemployment. Availability of mineral resources makes our natural income high. Helps to create employ opportunities and spread economic activities. For that per capital income also rises and standard of living of our people being higher People are getting more facilities. In total we can say it our mineral resources importance knows no bound. For development of our industrial sector and our economy it operates a great importance. But we are very unlucky that we have lack of sufficient amount of mineral resources. Iron, Manganese, Bauxite etc mineral is not available in our country and our oil resources not rich. If we have these resources then our country could be more developed. Business world have always hunger for the raw materials. Different types of resources are needed for the different types of industries in the country. We are using Natural Gas, Silica Sand, white clay as raw material. For these reason Fertilizer, Cement industry are developing in our country. So we can tell mineral resources helping us to make our country industrialized. Basically Bangladesh is a agricultural country but it can be told easily that a country can not improve its economic and other condition till it does not build up as the industrialized country. As a industrialized country raw material is always needed. Bangladesh has huge number of human resources and it is very possible that Bangladesh can improve its condition through developing the human resources. Resources are always important for socio-economic development of a country. Mineral resources are important for every country. All the country, which are economically developed those, are rich in mineral resources. Coal, iron, mineral oil is the main resource for the development of a country. Those countries are developed which are utilizing their mineral resources properly. As example we can tell about United States of America, United Arab Emirates, Saudi Arabia, Russian Federation, Kuwait etc. 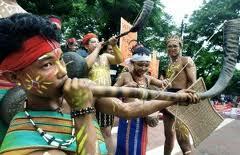 Without utilizing the indigenous resources of the country no country can develop itself. For the development of the country the government should spread its hand to utilize the resources that are available inside the country. It is not always possible that government will be able to take all the initiatives for the proper utilization of the indigenous resources. Bangladesh is a mixed economic country for that reason our different business organization can came aside of the government to make sure that our indigenous resources are utilizing properly. What is the present condition of Netherlands most of their energy comes from utilizing their resources like wind. We also have the same resources but what are we doing here? Why we can not use these typed of resources? Both our government and so also our different private organization should all the initiatives to use these resources. It is a very good symbol that the fertilizer factories are using gases and wind to make fertilizer. But this is not all. We should self dependent in each and every sector. Government can take some positive approach to motivate those organization those are using the indigenous resources for making their product. Such as minimize their taxes, loan facilities, adopting extra taxes on the same types o0f product that are importing intro the country. The main objective of this study is to find out what and how a business organization can utilize our indigenous resources for their best utilization and bring the best output from them. Besides I try to compare Bangladesh in question of the utilization of resources with other country of the world. As a student it is our general nature that we are always for knowledge. And these sorts of studies help us to gather practical knowledge. Basically I tried to collect information from the secondary sources of data and information. But it was not possible to collect all types of data and information from these sources. This is not why the information was not available in the books, this is why the book was not available in the library. To solve this problem I have visited directly CPD and public library several times. More over the subject Basic Science and Remarkable Invention is a vast one and due to the scarce time I could not complete some of the major portions. Today’s business environment is a challenging one. Each planning or the strategies the companies think or formulate might be used in advance by their counterparts. More over the subject Basic Sciences and Remarkable Invention is a vast one and due to the scarce time we could not complete some of the major portions. Have we had enough time and given proper information, it was for sure that we could have developed a much better report on this topic. This was not at all an easy project to complete. Gathering information was also a difficult task. What ever the limitations were, I tried to make my best effort to overcome them and anchor safe.No matter how good I do in designing the project but it’s the knowledge that I gather that remains me till the end and satisfies me.At last, I hope that my attempt behind this project is a successful one and will surely bear the expected fruit. Annual reports from Statistical Burro.